"Do you like quality photography? 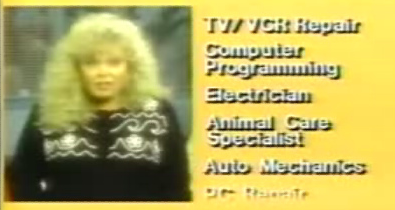 Of course, we all do." If so, don't miss out on LIFE Magazine's (self-selected) list of best photos, which slots this shot of Mantle denouement at #30. Two ravaged knees killed Mickey's on-field production and his obvious frustration in this photo presaged the late 60s fade of both superstar and franchise, as he limped towards retirement and New York sank into the AL's second division. But LIFE Magazine and The Mick appeared in this blog before--and in happier times--thanks to their Maris/Mantle Post Cereal promo from 1962. 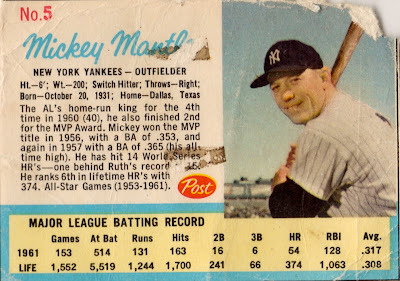 This card (as trimmed from LIFE's gatefold insert) followed the 1961 wave of home run hysteria, when Roger and Mickey raced to break the Babe's mark of 60. It's hard to imagine a sharper career descent than Mantle's, given both his diminishing production (though never below average) and New York's ill fortunes. Would 1960s fans (and teams) have accepted a DH rule just to extend the careers of sluggers like Mickey?